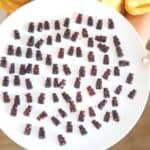 THESE IMMUNE BOOSTING GUMMY BEARS ARE LOADED WITH VITAMINS AND TASTE DELICIOUS. 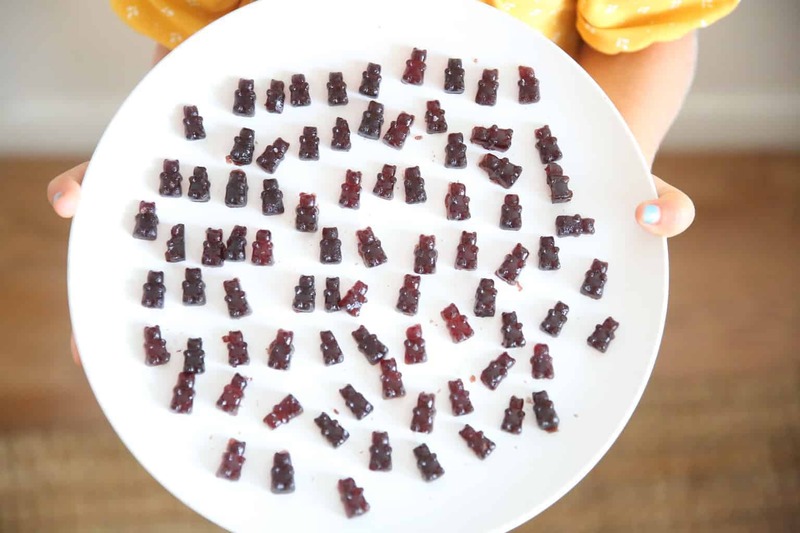 LEARN HOW TO MAKE THESE KID APPROVED GUMMY BEARS, PLUS 4 OTHER FLAVORS, WITH A VIDEO TUTORIAL. Every fall I start making elderberry syrup for my family to boost our immune systems. 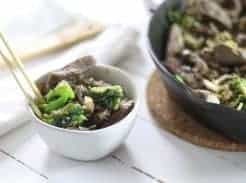 It’s loaded with vitamins A, B, and C making it great for stimulating the immune system and keeping us healthy throughout cold and flu season. I shared my elderberry syrup recipe in a recent blog post, if you missed it click HERE. Most often I just give my kids elderberry syrup by the teaspoon, in fact my kids love the stuff and request it as a topping on their pancakes. 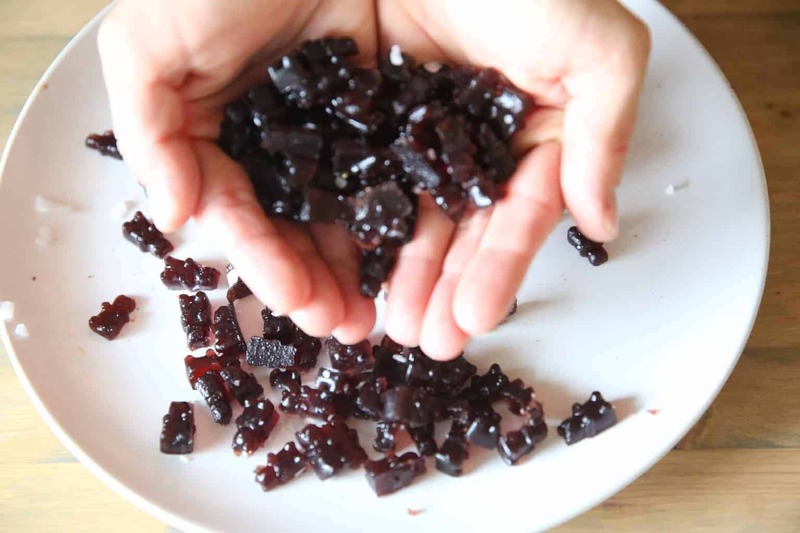 But sometimes I make elderberry gummy bears for an extra special treat. They love them and it makes giving them there daily dose even easier. Rub coconut oil on the silicon molds or glass pan to prevent sticking. Add 1/2 of a cup of elderberry syrup to a glass bowl and add gelatin . Whisk together quickly. Add hot water into the mixture and continue whisking until well incorporated and smooth. Be sure the water isn’t boiling, just hot. Pour the rest of the elderberry syrup into the mixture and whisk together. Put the elderberry mixture into the silicon molds or glass pan. 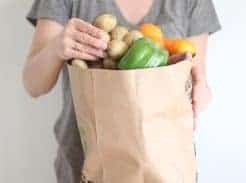 Place in the refrigerator for 3-5 hours or until completely set. Pop the gummy bears out of the molds and store in an airtight container in the refrigerator. NOTE: If you are using a 9 by 13 pan after the mixture is set up you can cut it into little pieces or with a cookie cutter. Store in the glass pan in the refrigerator with a airtight lid. You can take these immune boosting gummy bears when you have been exposed to germs or been in crowed places to help prevent illness. Or you can take them when you aren’t feeling well to boost the immune system and help you to feel better quicker. For immune support when preventing: Children can take 1-3 gummy bears a day and adults (yes adults can take these too!) can take 3-6 gummy bears a day. For immune support when sick: Children can take 1 gummy bear 4 times a day and adults can take 8 gummy bears a day. Why do all kids love fruit snacks? I remember devouring them when I was a kid and now I would totally prefer chocolate. Probably the fun shapes or the bright colors make them appealing to children. Unfortunately, like most process kid snacks, they are full of sugar, artificial food dye, and high fructose syrup. 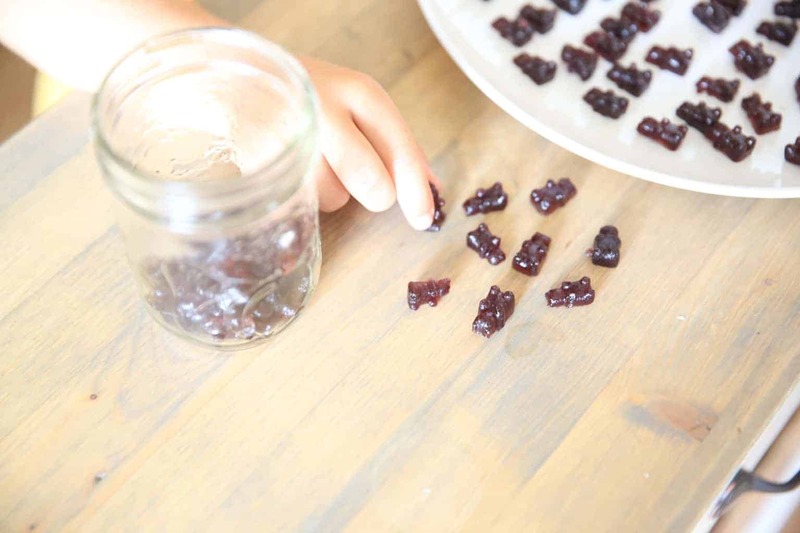 I found out that making your own gummy bears is simple and healthy! Using a similar recipe to the one I shared above you can make these with any juice or pureed fruit to make different flavors and colors. Here are some of our favorites! Add all ingredients, expect gelatin, into a small saucepan. Heat over medium heat until hot, not boiling. Add gelatin into the mixture slowly while whisking it together. Countine heating and whisking over low to medium heat until all the gelatin is dissolved. Pour the mixture into prepared silicon molds or glass pan. Put the molds or glass dish into the refrigerator for 2-4 hours, or until mixture is set up and solid. Pop the gummy bears out of the silicon molds and store in an airtight container. NOTE: If you are using a 9 by 13 pan after the mixture is set up you can cut it into little pieces or with a cookie cutter. Store in the glass pan in the refrigerator with an airtight lid. Like most moms, I like to feed my kids healthy. I strive for fresh fruit and vegatables, healthy proteins, and mostly organic when it comes to feeding my children. 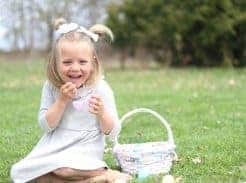 My kids aren’t picky and will eat just about anything and they eat A LOT. Most days they are asking for a snack minutes after finishing a meal, well at least it feels that quick. Almost every day I declare “THE KITCHEN IS CLOSED” at some point because I am sick of cooking. I love to have healthy snacks ready for them when they demand a snack. In a perfect world I would have the fridge stocked with homemade gummies, fresh sliced fruits, homemade guacamole…you get the point. I love these gummy bears because they are healthy and made with grass fed unflavored gelatin making them filling and high in protein. My kids love eating them and they enjoying making them. With every gummy bear they are getting the nutrition from fruits, gelatin, and raw honey. 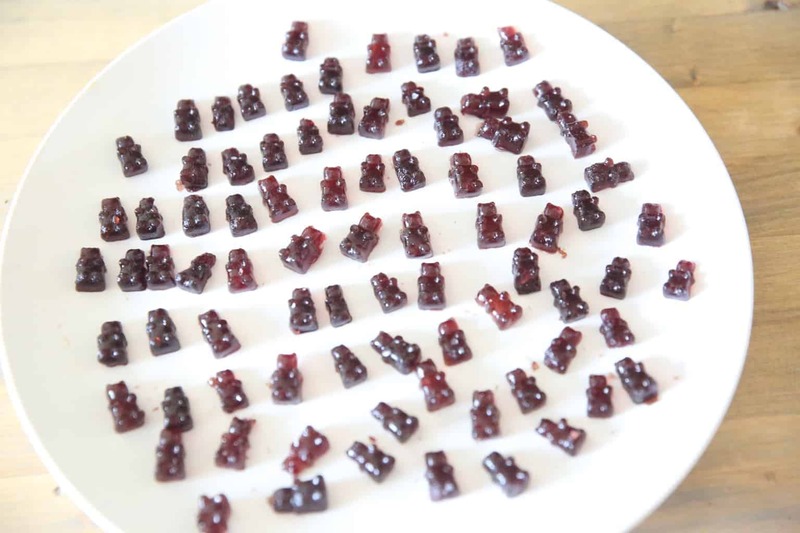 Have you ever made gummy bears in your house? What was your favorite flavor? Let me know in the comments below! If you are using a 9 by 13 pan after the mixture is set up you can cut it into little pieces or with a cookie cutter. Store in the glass pan in the refrigerator with a airtight lid. We love homemade gummies in our house! I need to try the elderberry ones here. Oh yes I am sure you guys will love these too! My kids do!